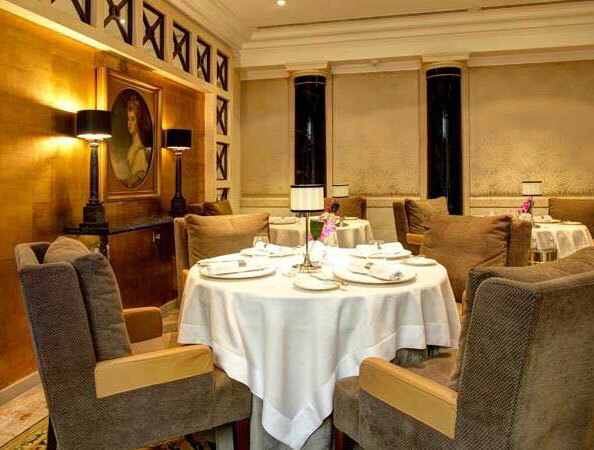 This sumptuous restaurant has held a Michelin star since 1990 thanks to the sparkling imagination of head chef, Simon Radley. A la carte, tasting and vegetarian menus are available with matched wines from an internationally acclaimed cellar of more than 1000 bins, which has secured an AA Notable Wine List Award. Heaven for the armchair tourist and ideal for that milestone birthday. This independent, 30-cover restaurant in Chester is the brainchild of local chef, Liam McKay. 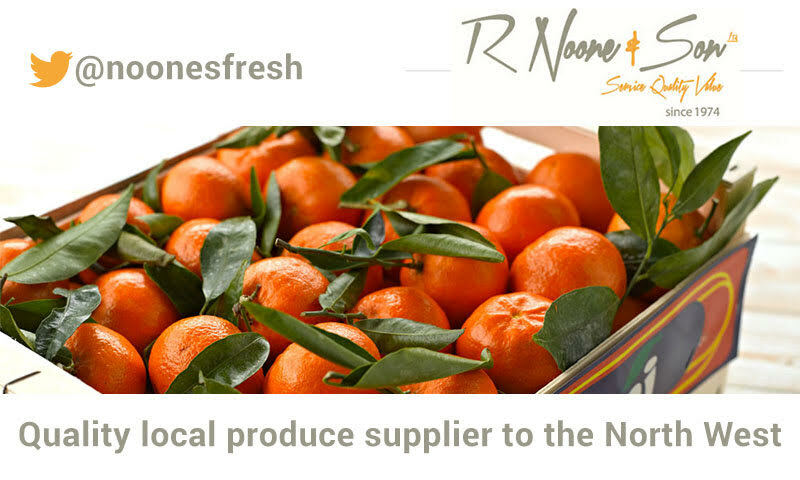 Sourcing is a priority with 90 percent of veg supplied by the Natural Veg Men and a list of fully local and British suppliers for everything else, alongside a commitment to using only sustainable palm oil. But when it comes to what’s actually on the plate, the confident European influenced creations are anything but worthy. Food you’re really going to want to eat, at an excellent price. Lunch at Chef’s Table is good value (typically under £20 for two courses) while a clever wine list and casual, woody interior make good times inevitable. Michelin-rated brasserie in Chester city centre. Quality ingredients are among the reasons why this smart-casual eatery has become one of Chester’s smash hits alongside a perfectly pitched wine list that begs to be drunk with food or alone. Paper-thin Serrano ham and cured brill in blood orange opens a menu that combines brasserie classics with gourmet snacks. Selections could include cod loin with langoustine bisque, Goosnargh chicken supreme with mushroom fideuà (a kind of vermicelli paella), and fresh gnocchi with sage butter and kale crisps. 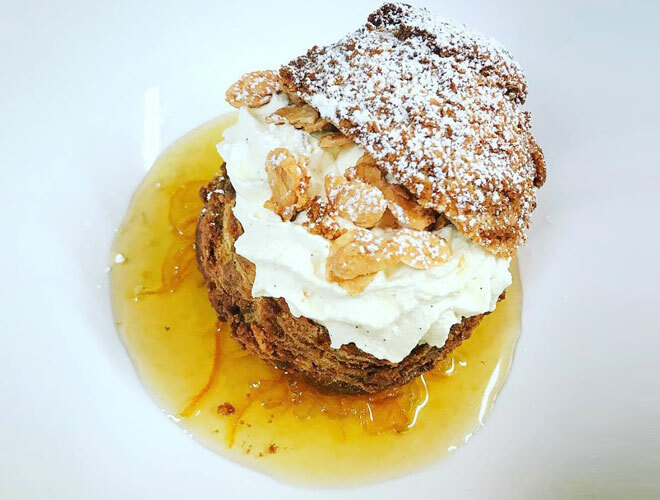 Sweet and savoury endings like Cheshire ice cream Affogato, fruitcake with Colston Bassett Stilton and a lively bottle of Picpoul round off an extremely reasonable meal at this repeat Michelin Bib Gourmand winner. Excellent tapas place, Porta, is under the same ownership next door and there’s a well-received branch in Altrincham too. Brilliant bistro fare from crowd-funding expert, Gary Usher. 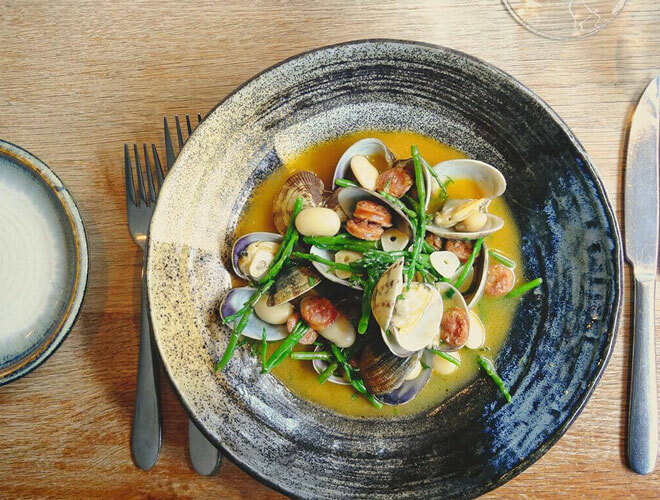 Located in Hoole, just outside Chester, this contemporary bistro falls under the Elite Bistros empire of chef-turned-restaurateur, Gary Usher. 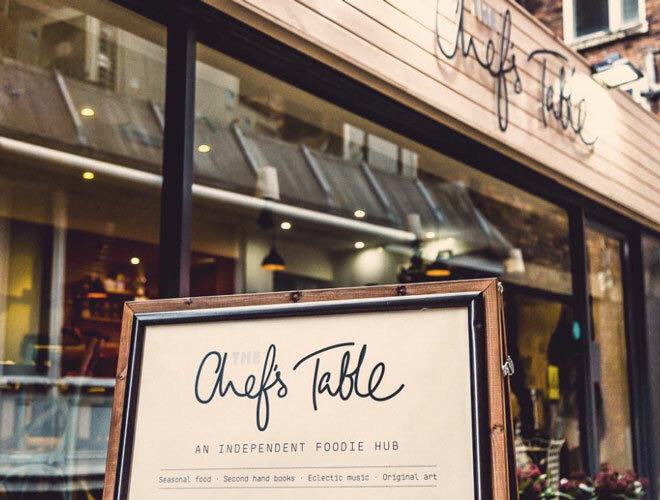 Having trained at The Chester Grosvenor, Chapter One and Chez Bruce, Usher is a chef with a passion for getting things just so – and he’s hired likeminded talent, Richard Sharples (Aumbry) as co-conspirator and group executive chef. Usher is also something of a social media and crowd-funding hero whose fourth bistro, Wreckfish, opened in 2017 with more branches planned for Prescot and Manchester’s King Street in 2018. 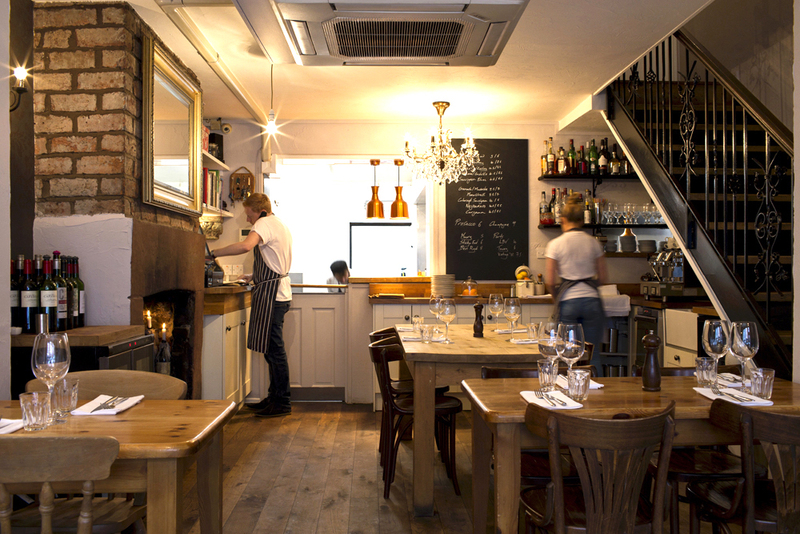 Classic French techniques – and mentor Simon Radley’s passion for citrus – are an influence while exposed brick and heavy oak tables smarten up the townhouse space. Dishes could include charred salmon with ceviche, or braised featherblade with truffle and Parmesan chips. The vanilla crème brulee or richly spiced coconut rice pudding with poached pineapple and sugared hazelnuts make romance somewhat inevitable. A healthy international wine list raises the bar further.